Red Deer, Alta. 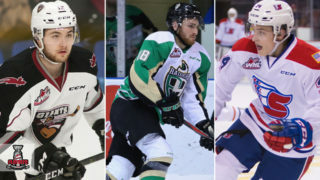 – The Western Hockey League will host its annual WHL Awards ceremony today at the Sheraton Red Deer Hotel in Red Deer, Alta., to honour the top performances from the WHL’s 2017-18 season. The 2018 WHL Awards ceremony will be streamed live at WHL.ca beginning at 12:15 p.m. MT. In addition to those listed below, the WHL Scholastic Team of the Year and WHL Official of the Year will be recognized Wednesday. 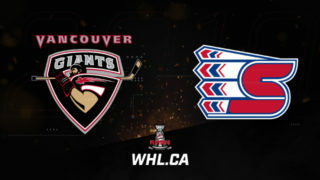 Selected in the first round (third overall) by the Giants at the 2016 WHL Bantam Draft, Byram emerged as a reliable defenceman at the young age of 16. Dressing in 60 games during the 2017-18 WHL regular season, the product of Cranbrook, B.C., proved productive in all facets of the game, topped off with 27 points (6G-21A). That mark was good enough to rank him second in scoring among all WHL rookie defencemen. Byram is eligible for the 2019 NHL Draft. A product of Saskatoon, Sask., Flodell split the season between the Lethbridge Hurricanes and Swift Current Broncos. He led the WHL in a number of major statistical categories during the 2017-18 regular season, including games played (61), saves (1,818) and wins (38). The recently-turned 21-year-old goaltender finished the campaign with a record of 38-18-4-0 to go alongside a 3.13 goals-against average, .909 save percentage and three shutouts. Flodell’s first 35-win season in the WHL saw him recognized as WHL Goaltender of the Week once, during the week of October 9-15. 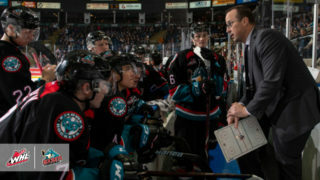 In his third full season in Kelowna and first as captain of the Rockets, Foote stepped up at both ends of the rink. 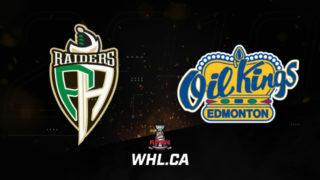 The product of Engelwood, Colo., collected a career-high 70 points (19G-51A) in only 60 games to finish sixth in scoring among all WHL defencemen. Drafted by the Tampa Bay Lightning in the first round (14th overall) of the 2017 NHL Draft, Foote was a member of Canada’s gold medal-winning entry at the 2018 IIHF World Junior Championship. In 202 career WHL games, Foote has 163 points (33G-130A) to his credit after being selected by the Rockets in the second round (43rd overall) of the 2013 WHL Bantam Draft. With a career-high 102 points (37G-65A) and only 26 penalty minutes in 64 games this season, Glass continued to define himself as one of the premier playmakers in the WHL. On two occasions, he was named WHL Player of the Week, the most recent for the week of February 26 to March 4 as the Winterhawks etched out a second-place finish in the WHL’s U.S. Division. His 102 points saw him finish in a tie for sixth in WHL scoring, while his 65 assists were good enough for fifth in the WHL. Selected by the Vegas Golden Knights in the first round (sixth overall) of the 2017 NHL Draft, Glass has registered 223 points (79G-144A) in 201 career WHL games. He was originally selected by the Winterhawks in the first round (19th overall) of the 2014 WHL Bantam Draft. A product of Lloydminster, Alta., Wouters was selected by the Blades in the first round (19th overall) of the 2015 WHL Bantam Draft and is ranked 92nd among North American skaters for the 2018 NHL Draft. In his first year as a WHL head coach, Williams guided the Silvertips to the top record in the Western Conference, finishing 47-20-2-3 (99 points), which also served to earn a U.S. Division banner for the fifth time in franchise history. With Williams at the helm, the Silvertips finished the regular season as the seventh-ranked team in the CHL Top 10. Critical to the Club’s success was once again stingy defence and goaltending as the Silvertips only allowed 167 goals against – a WHL best this season. In his sixth season as General Manager of the Warriors, Millar constructed a Club that went on to win the Scotty Munro Memorial Trophy as WHL Regular Season Champions, finishing with a record of 52-15-2-3 (109 points). The 2017-18 campaign represented the first year the Warriors eclipsed the 50-win plateau and represented the best season in franchise history, surpassing the 2011-12 Warriors (45-19-6-2, 98 points). 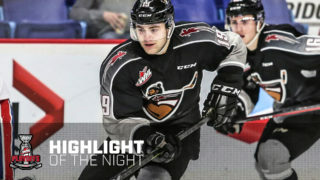 Millar executed a number of key transactions that aided the Warriors down the stretch, including the acquisition of WHL Defenceman of the Year nominee Kale Clague, forwards Ryan Peckford and Vince Loschiavo, as well as defenceman Brandon Schuldhaus, among others. In addition to being one of the offensive leaders for the 2018 Mastercard Memorial Cup host Regina Pats, Bradley has gone above and beyond for those in his local Western Hockey League market and the league as a whole. Acquired from the Medicine Hat Tigers before the start of the 2018 WHL regular season, Bradley immediately set out to make a difference in his new hometown of Regina. He pledged $5 of his own money for every point he scored during October in support of Breast Cancer Awareness Month. When he raised $85 from his offensive production, he campaigned further and raised a total of $3,595 overall. This marked Bradley’s second year raising funds for cancer awareness after he raised $565 with the Tigers the season before. Adjusting to a new community, Bradley took a lead role in the Pats’ outreach, stepped up with the Pats’ Canadian Mental Health Association night at the Brandt Centre. Bradley also set out to make a difference in the lives of children, visiting 15 schools to read to students and promote healthy lifestyles. Healthy and active living is a core principal of life Bradley has also worked to promote by participating in the Ranch Ehlro Outdoor Hockey League, an initiative through the Ranch Ehlro Society, which provides inner-city youth and families access to a variety of recreational programs, including hockey. Bradley’s contributions to his local community don’t stop at the city limits of Regina. When he happens to be home in Surrey, B.C., Bradley visits his local school where his mother serves as a Vice Principal and delivers the same message of healthy living and working to achieve one’s dreams. After being passed over in two NHL Drafts, Halbgewachs exploded during the 2017-18 WHL Regular Season, earning the WHL’s Bob Clarke Trophy by leading the league in scoring 129 points (70G-59A). In the process, he became the league’s first 70-goal scorer since Pavel Brendl (73 goals, Calgary Hitmen – 1998-99). The outstanding offensive performance did not go unnoticed, as the San Jose Sharks signed the free agent product of Emerald Park, Sask., to a three-year, entry-level contract in December 2017. 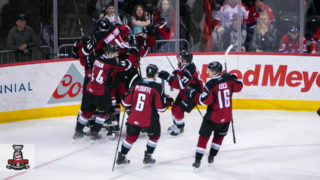 Halbgewachs also led the WHL in power-play goals (27) and game-winning goals (11), helping the Warriors claim a franchise first Scotty Munro Memorial Trophy as WHL Regular Season Champions. Enjoying extensive growth in all major business categories in 2017-18, the Everett Silvertips are the Western Conference Finalist for the WHL Marketing/Business Award. As an innovator in game-night promotions, presentation and community involvement, the Silvertips have executed a number of successful campaigns during the 2017-18 season. Over the course of the season, the Silvertips have visited more than 30 schools, delivering messaging on anti-bullying, healthy lifestyles and education. The team has also spent time working with cancer patients at the Providence Regional Medical Center, as well as visiting the hospital’s Pavilion for Women and Children to distribute plush toys following another successful Teddy Bear Toss. A key event within the Silvertips 2017-18 calendar came in the form of the “Local Heroes Night.” More than $15,000 was raised to benefit the Snohomish County Law Enforcement Memorial Fund and the Medic One Foundation. Another successful Pink The Rink served to help raise $88,000 to fund free mammograms and cancer care for women in Snohomish County. With an active, engaging and unique approach to social media, the Silvertips have also been able to create awareness of the WHL and the Silvertips brand. Additionally, the Silvertips took extra steps to upgrade their WHL Live production to high definition during the 2017-18 season.